I feel very fortunate to be part of such a special group of people, and today I want to invite you to get more involved. I know only good things can come of this ? 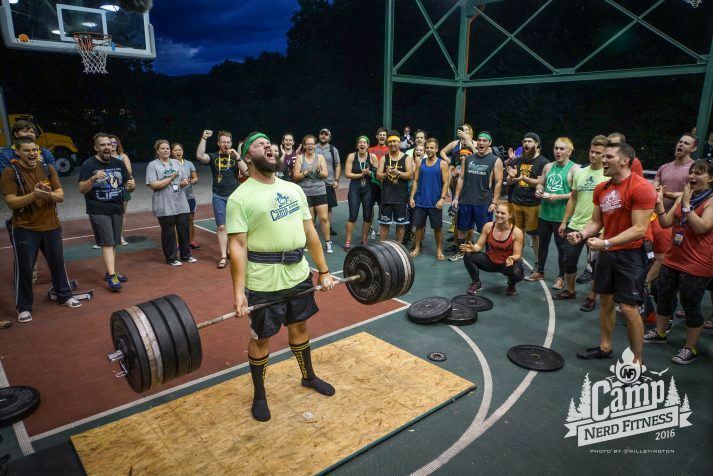 Staci Ardison was a community member who found NF at a low point in her life (and chain smoked 2 packs of cigarettes a day) and now deadlifts 430 pounds. She also champions our community to the world and encourages women to not be afraid to lift heavy, teaches how to batch cook, and has the cutest dog on the planet. You should probably follow her on Instagram at @StaciArdison if you want to see deadlifts and doggies ? 1) There are purposefully no ads on Nerd Fitness. Before I started this site, I really struggled to find a fitness website that gave me honest information. 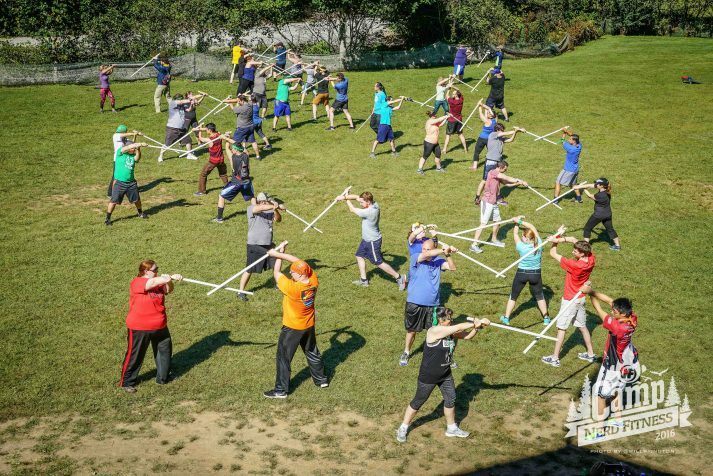 Most of them tried to sell me on proprietary workouts (scientists hate this one weird trick! ), supplements (fat blaster! ), or shamed me into thinking I was unworthy unless I joined their service. 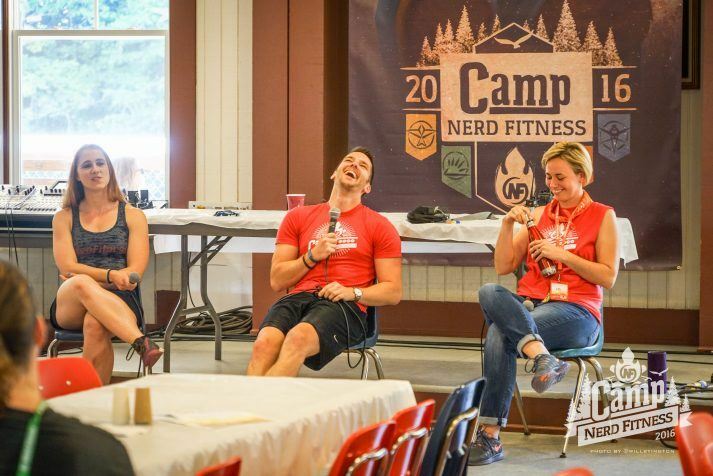 Nerd Fitness Yoga: Yoga for people who don’t do yoga. ? If you have a sore back, poor posture, or you just want to finally be able to touch your toes, NF Yoga is your thing. 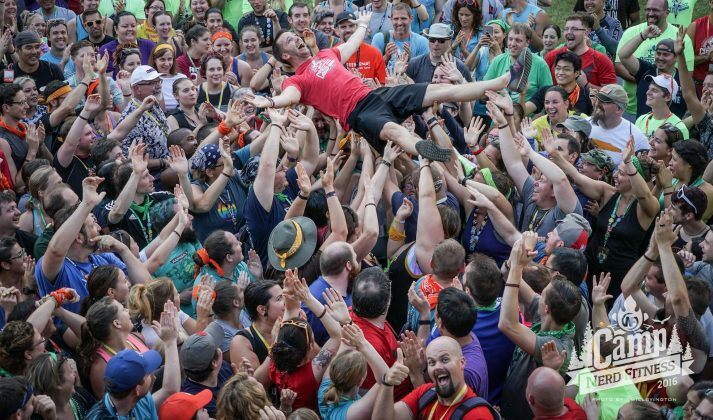 No zen or woo-woo stuff, just fun approachable routines you can follow in the comfort of your home (or download and watch anywhere) with the NF Style you love. 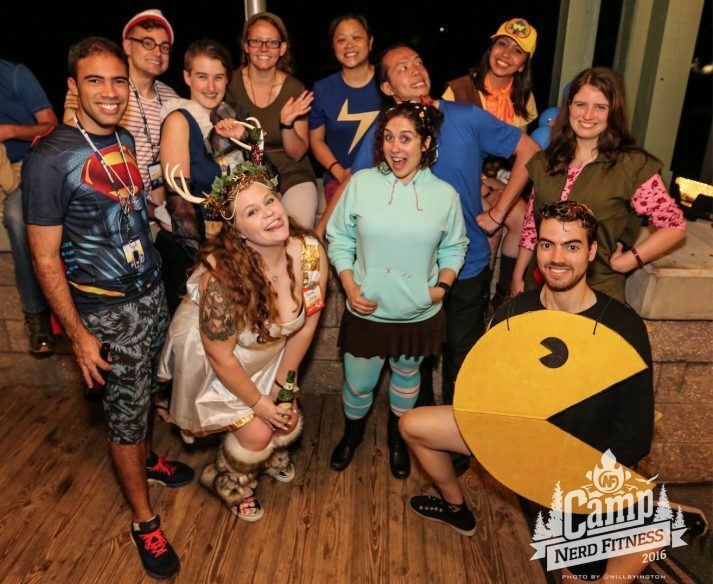 Camp Nerd Fitness (next Camp in 2018): An in-person, long weekend experience of training, costume parties, gaming, and everything in between. I could try to explain it to you, and this video does a pretty damn good job, but you really have to experience it in person. ? Obviously we’d love for you to check out the ones that pique your interest; it’s how we keep the lights on. Or don’t! That’s cool too ? Some people are fanatical about what we do and how we offer to help people. Other people would prefer that we take a different approach (in slightly less nice terms, ha!). It’s part of having a large, diverse community – and many members feel a BIG stake in the future of the Rebellion (and thus also have passionate opinions). It’s a good problem to have. ? In other words, come for the push-ups, stay for the feels ?